Thank You for Making “Acting Out” a Success! 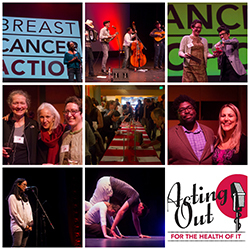 Thank you so much to everyone who made last week’s 5th annual Acting Out – For the Health of It variety show and fundraiser such a success. Whether you attended, donated, performed, or volunteered, we couldn’t have done it without you. And if you weren’t able to join us, it’s not too late to support our work with a donation! A HUGE thank you to the generous and talented performers who donated their time to put on a fantastic show: Alexandra Fraser, Nazelah Jamison, Jo Kreiter, Vitali Kononov, Thao Ngyuen, Yamini Kesavan Ranchod, Rusty Stringfield, and “Misisipi” Mike Wolf. And many thanks to the wonderful and hilarious Tania Katan for emceeing the event. We are so grateful to all of you! Thank you so much to our generous event sponsors, Kazan McClain Partners’ Foundation, Mechanics Bank, Pratapaditya and Chitralekha Pal, and Susan Wood, and our small but hard-working event committee, Abigail Arons and Julie Morgan. 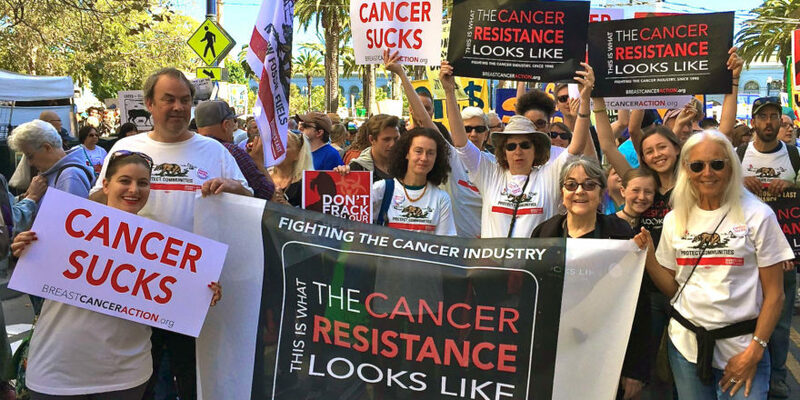 At Breast Cancer Action, we have a strict conflict of interest policy: we refuse corporate funding from any company that profits from or contributes to breast cancer (which is, unfortunately, a long list). That means over 66% of our funding comes from people like you, and community fundraising events like last week’s variety show are critical to funding our activism for women’s health. We are just $2,000 shy of our fundraising goal for this event; if you haven’t already, please chip in right now to help us fight back against threats to women’s health.Many, many thanks from all of us here at Breast Cancer Action.